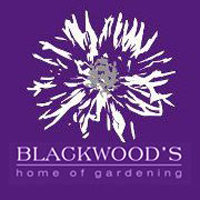 Blackwood’s Home of Gardening officially opened its doors for business on the 27th July 2012 at its present site in Chatterton Road in Pietermaritzburg (the old McDonalds Garden Centre site). Taking a step back, in August 2011, Blackwood Nursery took a leap into the retailing industry by purchasing the McDonald’s Garden Centre from the Dunrobin group. Management brought the stock levels back up to an acceptable level and applied its quality control measures to improve on the standard of product available to its customers. Something, however, didn’t quite fit, so management focused on a new and fresh approach to garden centre retailing…and so Blackwood’s Home of Gardening was born a year after trading. The idea was to bring international trends and modern retailing principles to the garden centre industry.